2018 isn't even a week old, but it's shaping up to be yet another banner year for Amazon. 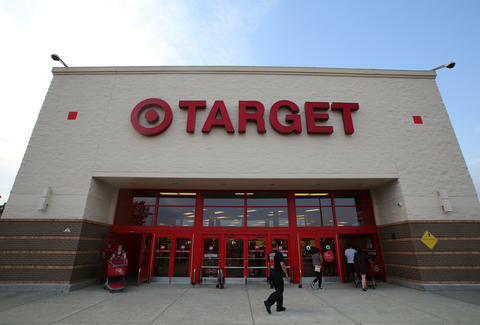 That's at least according to one leading technology analyst, who just issued a report predicting the mega online retailer will acquire yet another major chain in the coming months: Target. Following its monstrous $13.7 billion takeover of Whole Foods back in August 2017, experts have been clamoring to figure out what's next on the acquisition slate for Amazon in its quest to dominate the online retail space, if not the world. Gene Munster, the co-founder of venture capital firm Loup Venture and analyst widely regarded for his accurate Apple predictions, believes Amazon will takeover Target sometime this year, according to his firm's recently published list, "8 Tech Predictions For 2018." Munster argues the potentially massive deal would be a savvy move on Amazon's part for two main reasons: demographics and store count. "Target’s focus on mom’s is central to Amazon’s approach to win wallet share," the report states. Further, with over 1,800 physical Target stores added to the roughly 470 Whole Foods stores it now operates, it would also enable Amazon to double down on its bet that it "see’s the future of retail as a combination of mostly online and some offline," Munster claims. In terms of the details, Munster thinks the acquisition would be somewhere in the ballpark of $41 billion, which Amazon could afford. Plus, he believes the deal would be approved by anti-trust regulators, since Walmart would still have a significantly larger market share than an Amazon-Target combo retailer. Of course, it's worth emphasizing that this is merely a prediction, and there's no official indication that Amazon is even toying with the idea of acquiring Target. However, as of this writing on Tuesday morning, Amazon shares are up 1.55% and Target's are up 3.25%. If the deal does come to pass, it's tough to know how it might change things at Target, but if Amazon's Whole Foods takeover is any indication, it could usher in some serious price cuts. Or not.